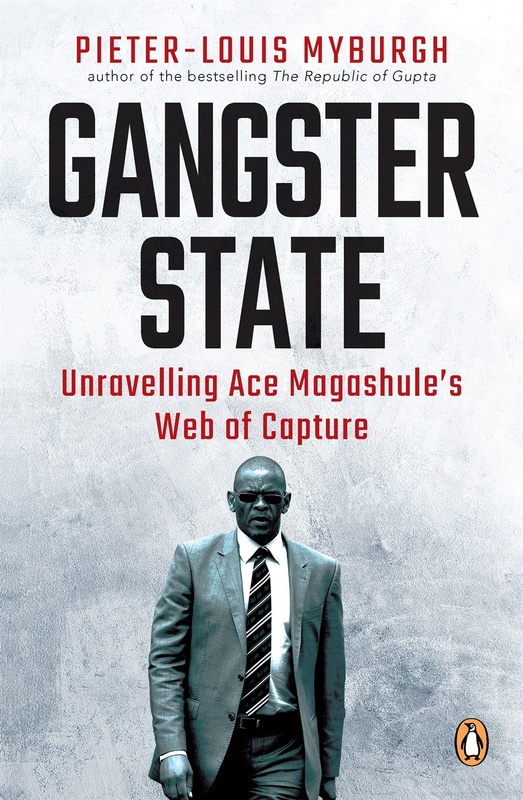 The V&A Waterfront has cancelled the Cape Town leg of Pieter-Louis Myburgh's book launch for Gangster State: Unravelling Ace Magashule's Web of Capture at its Exclusive Books branch. Instead, the launch will now take place at Cape Talk studios in Somerset Square, Greenpoint. The cancellation comes a few days after a group of protesters, some wearing ANC T-shirts, disrupted the book's Gauteng launch in Sandton on Tuesday. They ripped apart some copies of the book and threw the pages around, News24 reported. Donald Kau, head of PR and communications at the V&A Waterfront, confirmed to News24 that, after a three-way meeting between the V&A Waterfront, Exclusive Books and the South African Police Service, a decision had been taken to cancel the launch, "primarily informed by the safety of our patrons." Kau explained that, although there had been no indication of a planned protest, a security review undertaken by security operations concluded that "we should not go ahead with the launch". With so many unknowns, the decision was "primarily a risk management consideration". "Our primary consideration is the safety of everyone," Kau said. Myburgh confirmed the postponement in a WhatsApp message sent to friends and colleagues in the industry on Thursday. He was critical of the impact the postponement could have on free speech. "It appears V&A Waterfront has cancelled the launch of #GangsterState because its willingness to defend free speech is not quite in line with its appetite for profits from shoppers. "A small band of critics of my book who can't express their views in a civil manner has managed to spook a large corporate entity into submission. "This is a sad day for SA and V&A really needs to be held to account for this." A spokesperson at Exclusive Books head office said they would be releasing a statement later on Thursday, and had no further comment. Surita Jourbert, publisher at Penguin Random House, also said the company was drafting a statement. Earlier on Thursday, Myburgh took to Twitter to mobilise support for the book launch to go ahead. Exclusive Books responded in a tweet at the time, saying "due to security concerns we were in the process of discussing the possibility of either a postponement or change of venue but no cancellation was discussed & no official decision has been made". On Wednesday, Magashule said that, while he would still challenge the book's publication in court, the disruptions taking place were "not in his name". The book reveals how Magashule stood at the "head of a well organised state-capture network" in the Free State for almost a decade. Magashule has denied the allegations.